We’re giving one lucky person a drum head that is signed by bands on the Vans Warped Tour 2016 lineup, including: Atreyu, Pepper, Ghost Town, Emarosa, Vanna and more. You can find out how to enter, after the break. 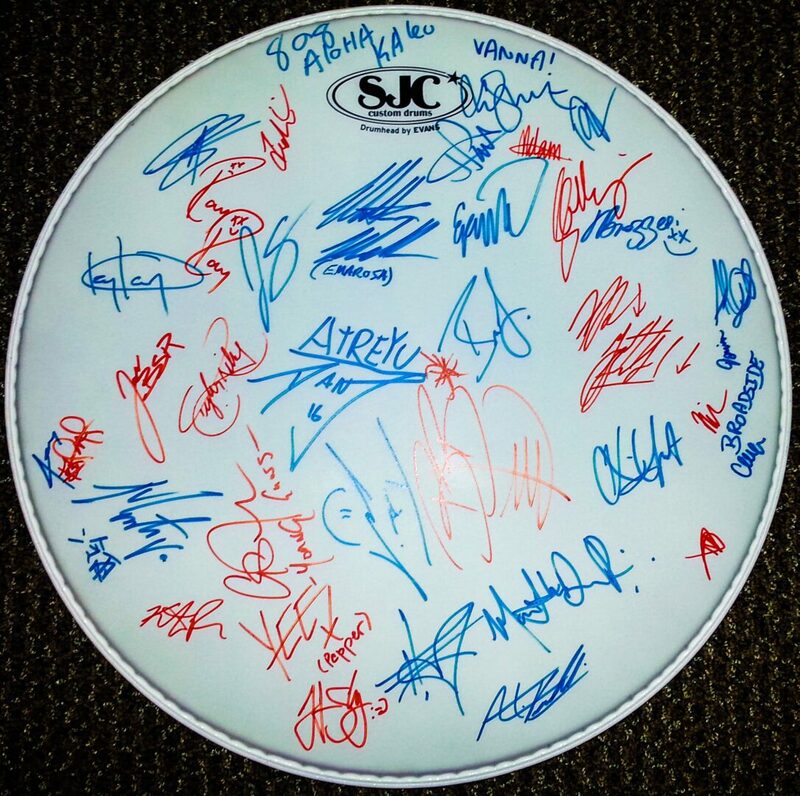 -One drum head that is signed by bands on Vans Warped Tour 2016 lineup.